I know what you’re thinking. It’s not even Thanksgiving and she’s posting Christmas crud? But those who actually use their glue guns and use their jars of glitter start making Christmas stuff this time of year. They don’t wait until the last minute and run around like a mad man trying to find red ribbon on December 10th, like some of us do. So I thought I’d put this out there in the blogosphere, so people can get their kitschy inspiration on. 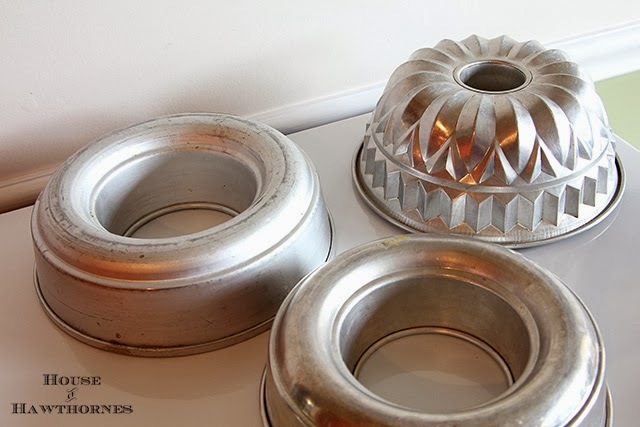 Vintage round jello molds or bundt pans. They can normally be found at thrift stores for less than $1 a piece (because no one eats fancy-pants jello any more). For the 1st wreath, way up at the top of this post, I just used two picks and glued them together. For these last two, I was going more for the Aunt Bee’s corsage from the 1955 Mayberry Christmas pageant look, so I used the Target bows in the mix. The “atomic” look of the Target bows is key. 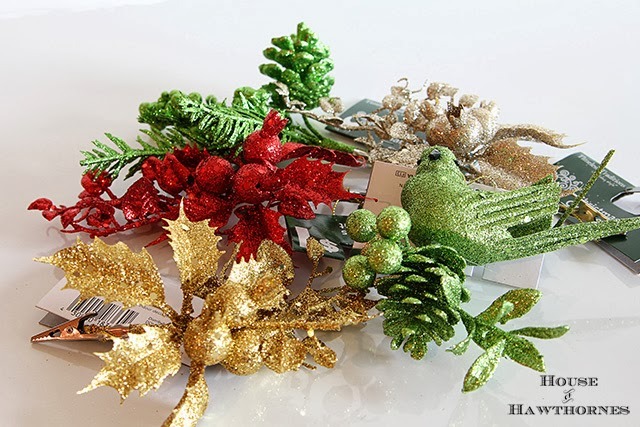 Of course, you could always use an actual vintage Christmas corsage on these, but then what are you going to wear on your lapel on Christmas Eve? Erica of Golden Egg Vintage shared some fun corsages that she made with those cool retro looking Target bows. OK, so she uses the word “tacky” to describe the corsages, but I prefer kitschy. Shara at Monkeybox had made some wreaths out of jello molds for a Holiday Bazaar recently and I had been thinking about them ever since. And Laurel at Chipping With Charm has made something similar in the past, but in a chippy, junky sort of way (junky is a good thing, in this case). So I sort of melded the make-your-own-kitschy-corsage idea with the jello-mold-wreath idea and this glitterfest of holiday happiness happened. These are as cute as can be!!! What a great idea can see other ways of using these molds as well like tread ribbon threw center and then making a bow just wish I had that of it sooner when I had a few in my hand at tag sales guess I well be picking them next year and no it is not to early at all to be thinking Christmas . I really like that “atomic” one!!! These are so cute, Pam…you could post about Christmas in the summer and I’d still love it! By the way…I insisted on wearing a Christmas corsage in my kindergarten portrait in 1960, if that tells you anything. 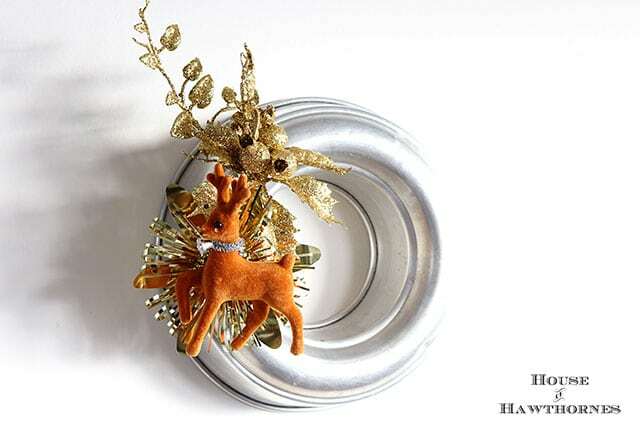 A great twist on the wreath concept. Sharon, these are fun. I’m glad you’re using up all those jello molds I turned in. Glad you tried making some. I think they are different and unique. I had a mold like the top one, but I decided to use it to bake a cake instead! I think the plain jane silver ones look the best – those are the ones I prefer to use when I make them. My Bazaar is this weekend – I hope SOMEONE likes them! I’m sure you’ll sell out of them! What is this cake baking thing you’re talking about? You know they sell cakes at the store, right? 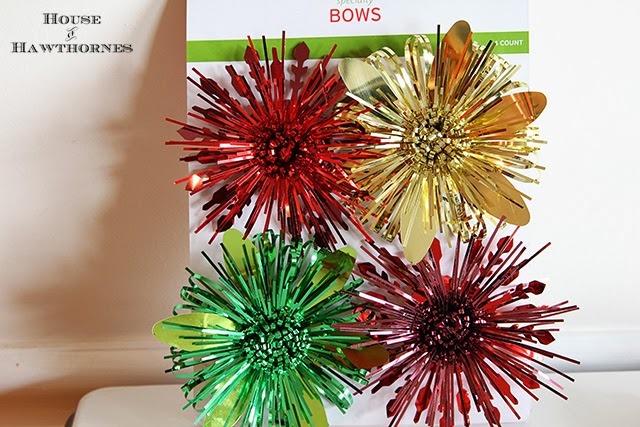 Super cute – I have a twin jello mold wreath – but minus the atomic glittery fabulousness!! These are wonderful, so cute!!! These are all sooooo darling and you know I love how thrifty they are. I think they are kinda cute! 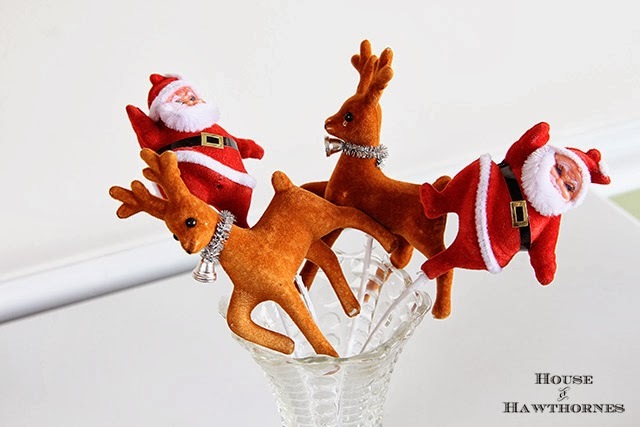 I just picked up one of those reindeer at a thrift store only he’s red, I stuck him in a ruby glass pitcher with some vintage colored mercury balls. Guess I better visit a dollar store next! Love the kitsch factor. These are wonderful. Now, I can add jello molds to my estate sale shopping list. I really like this idea. They look fabulous. Perfect for the holidays. Well, if I would have read your post yesterday, maybe I would have thought to look for molds when I was out at the thrifts. Guess I will have to go thrifting today. Dang it…..
Pam your wreaths are so, so fun! I love them. I was just at the thrift store yesterday and passed up a cool jello mold since I had no idea what I would do with it. Now I feel as if I should rush back and see if it’s still there. Your a genius! Oh, the reindeer one is my fav, followed by the santa one. I just love vintage Christmas picks. 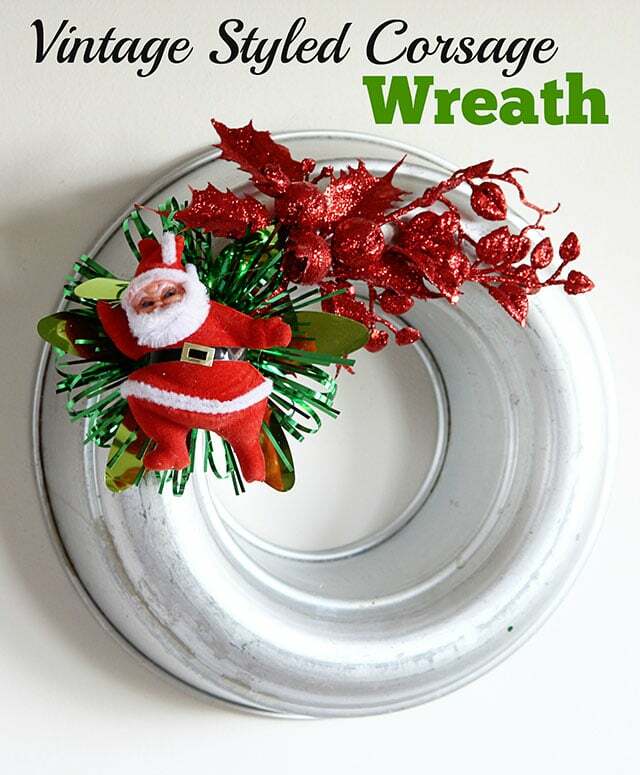 Your wreathes are so cute for the kitchen, love those molds and your funny commentary! Really cute wreaths made out of the jello molds. Really cute. You’re so clever! 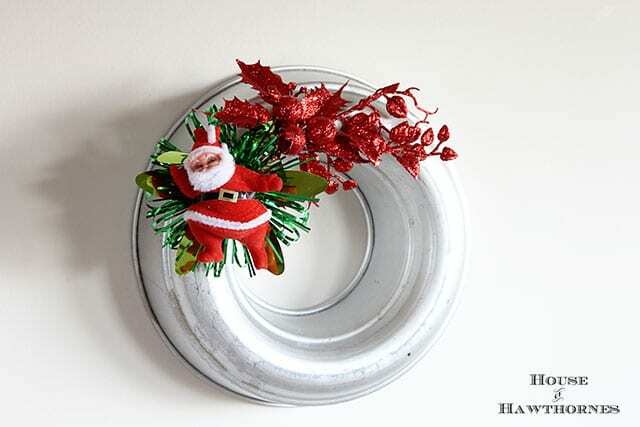 I would’ve never thought to use a jello mold as a wreath. Those are so beautiful! And look so vintage, despite the molds being the only thing actually vintage. Brilliant. I love these! I have never used that glue so thank you for sharing. I always use hot glue and sometimes it just doesn’t do the trick. Love your Aunt Bee one! I love your kitschy jello mold wreaths, Pam! Do you have a kitchen gallery wall in the making? What a great wreath! I’m sorry that I missed this post a few days ago. Thank you for the little shout out. Isn’t it fun coming up with ways to reuse things? So cute and kitschy!!! 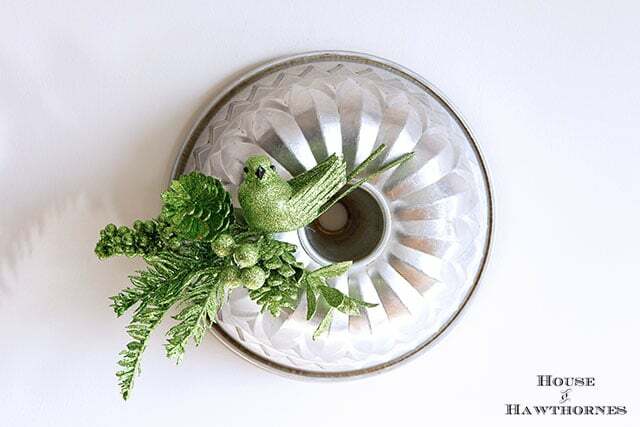 You are so imaginative with your vintage finds. Love it!